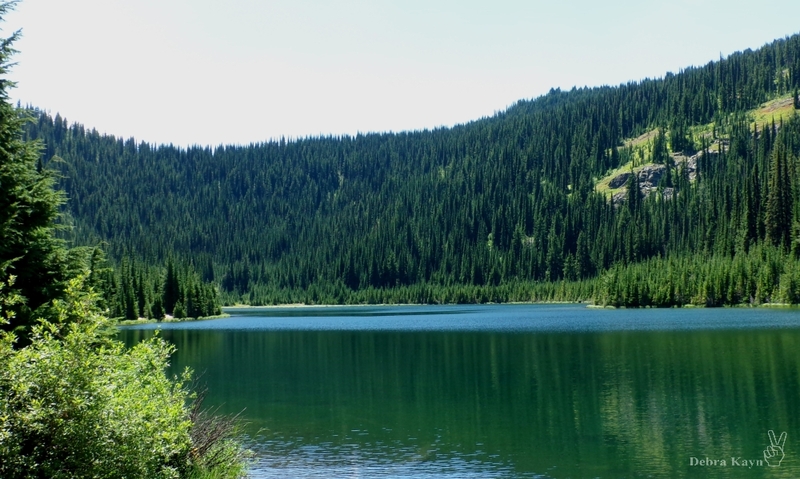 Welcome to Federal, Idaho, home of Bantorus MC Federal Charter, the Moroad MC - when they're not in prison, and the Red Light: Silver Girls series. 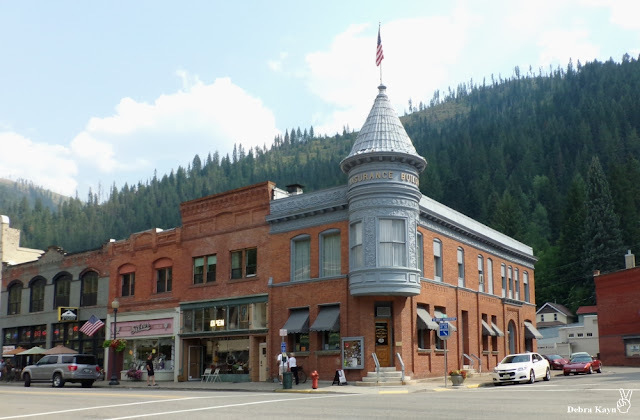 While Federal is a fictional name for the small mining town of Wallace, Idaho, it's my REAL hometown located in the Silver Valley. Have fun visiting and learning more about the places I used for the Bantorus MC series, Moroad MC series, and Red Light: Silver Girls series. If you'd like to purchase all eight books of the Bantorus MC series, here's the information and buy links. If you'd like to purchase all six Moroad MC series books, here's the information and buy links. If you'd like to purchase all three Red Light: Silver Girls books in the series, here's the information and buy links. Debilitated on the outside, fantastic on the inside. This is the Bantorus MC, Federal Charter's clubhouse. Located a few miles outside of the city limits. 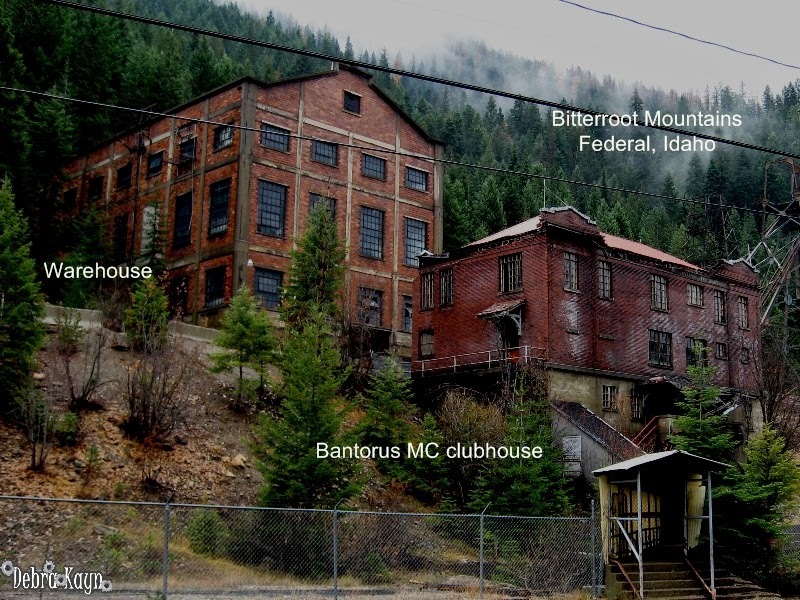 In real life, this is an abandoned mining area and the buildings they used to mine silver...just like in the books. 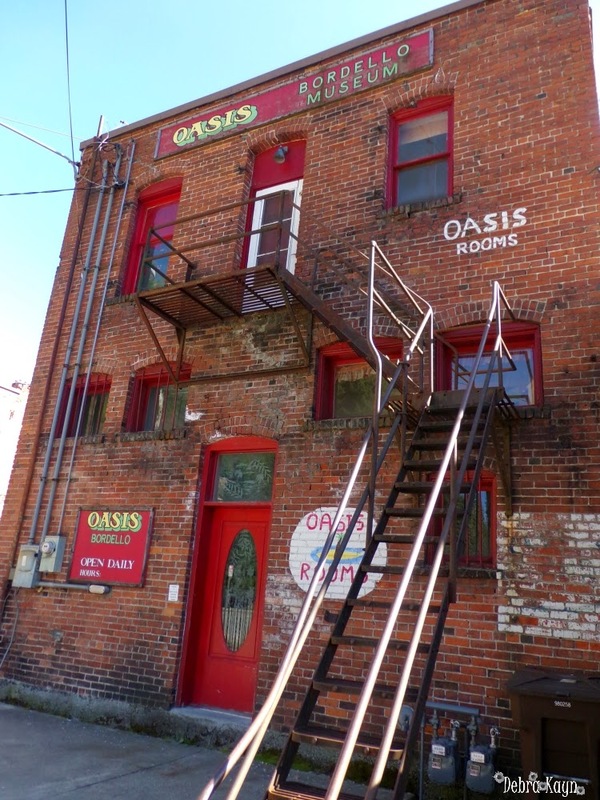 In real life, the building is really the Oasis Bordello Museum in Wallace, Idaho. It was a bordello that closed in 1988. 1988! Supported by the citizens, the sheriff, the prostitutes escaped in the middle of the night when they got wind the Feds were going to raid the town. Today, the museum looks exactly like it did the night the girls fled...including price charts for the sexual favors. The back of the Sterling Building. In real life, prior to 1988, customers would leave the bordello by the back door on the 2nd story. Today, it's a museum that opens to tourists during the summer months. 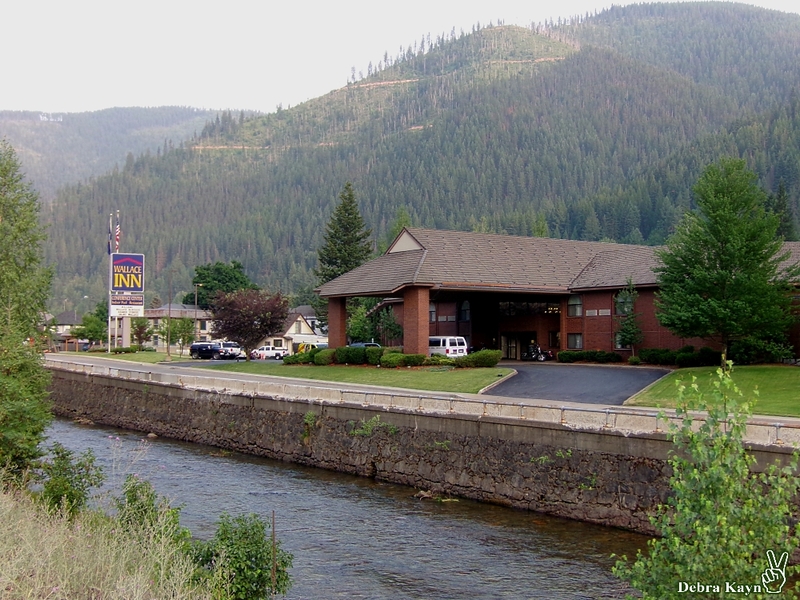 As you can see, the town is nestled in the Bitterroot Mountains. 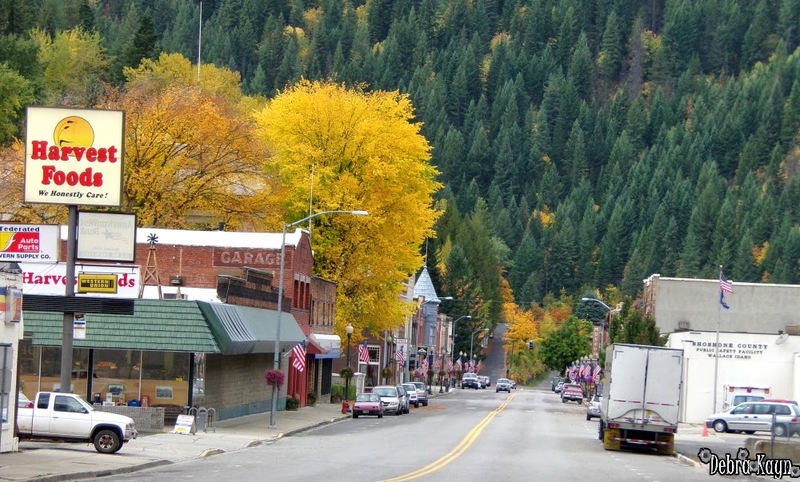 Cedar Street is used in my books and named after the real street in Wallace, Idaho. 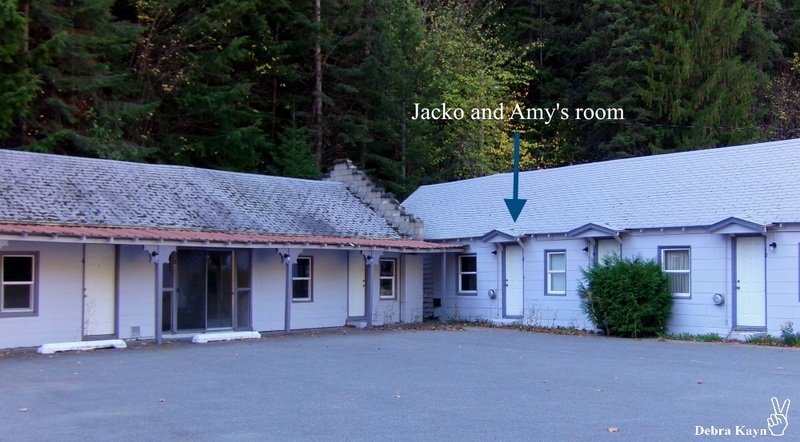 I've marked the Sterling Building. Across the street where that blue car is parked would be Dr. Brandof's office in the Red Light: Silver Girls series. Back in the not so distant past, there were 6 bordellos on this street. 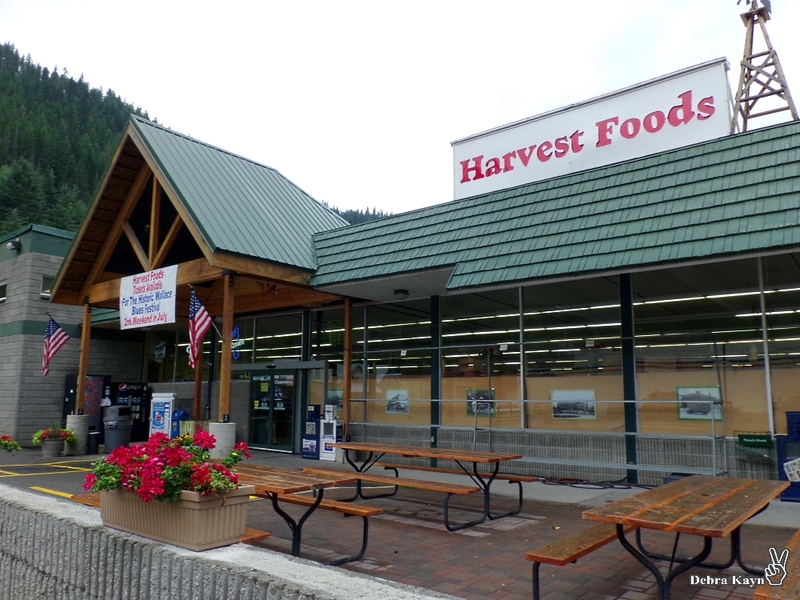 In my books, Harvest Foods is called Country Mart, the local grocery story. 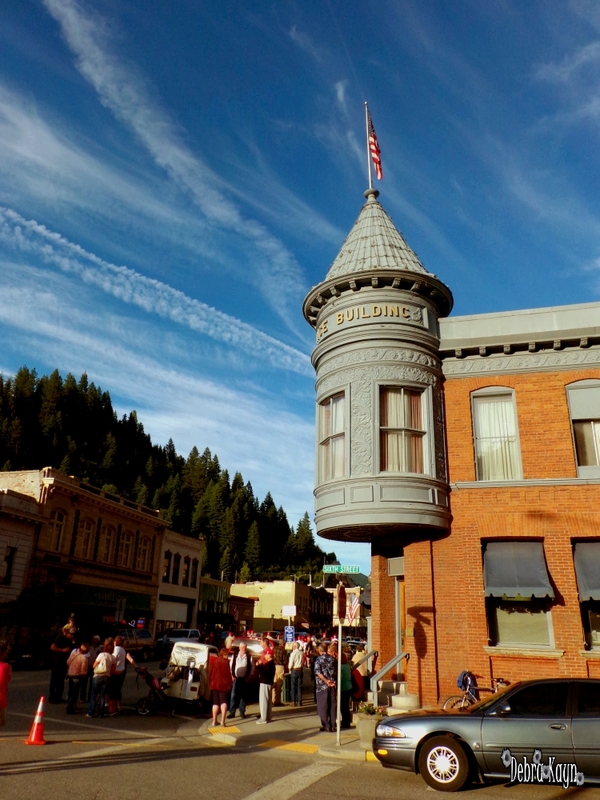 On the right, in the white building, where you see the flag flying, is the sheriff's department. Both places are centrally located in the books, just like they are in my town of Wallace. This is the viaduct you pass under to go into Federal. The main route for the Bantorus and Moroad members to travel as they go from town to club. In real life, the viaduct was constructed to take Interstate-90 over my hometown. 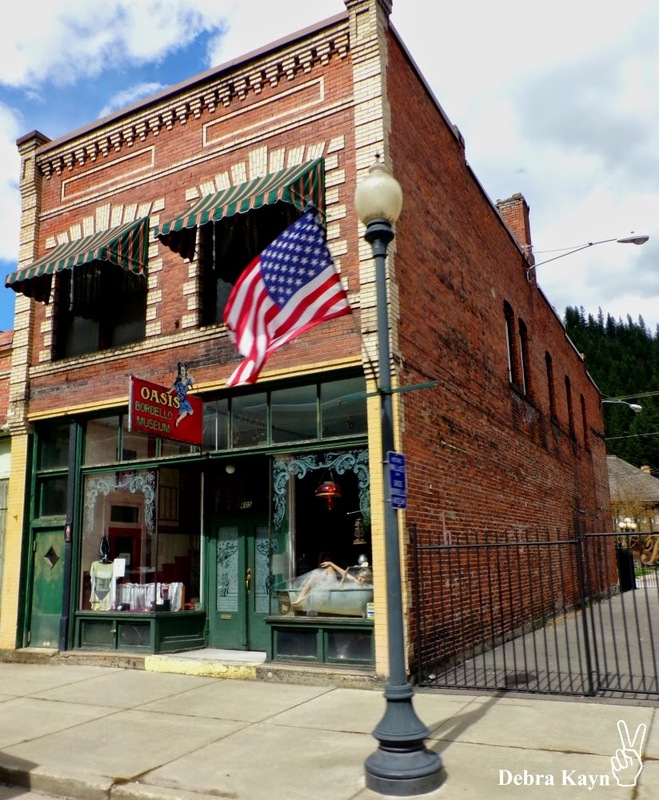 The government wanted to widen the interstate through town (the only stop sign on I-90 back then), but everyone in town registered their buildings and houses with the national historical registry making it impossible. They protected the town and now traffic flows above everyone without having to stop. 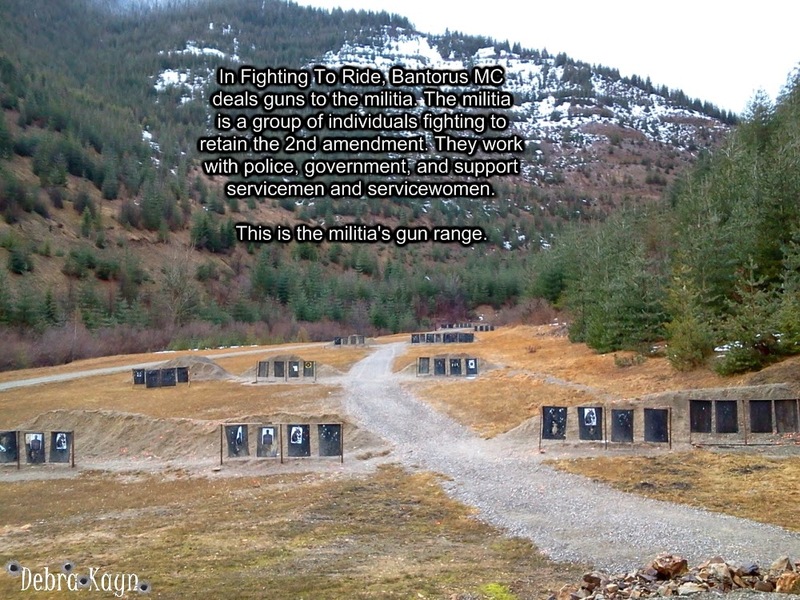 The militia's gun range in my books is secluded in the Bitterroot Mountains. In real life, this is a public gun range...which militia members also use. In the acknowledgment section of Fighting To Ride, I mentioned Molly B'Damn as my inspiration for the character of Risa. Molly is a hero in real life. If you'd like to learn more about Molly and how the prostitute turned madam lived her life, here's a good link. 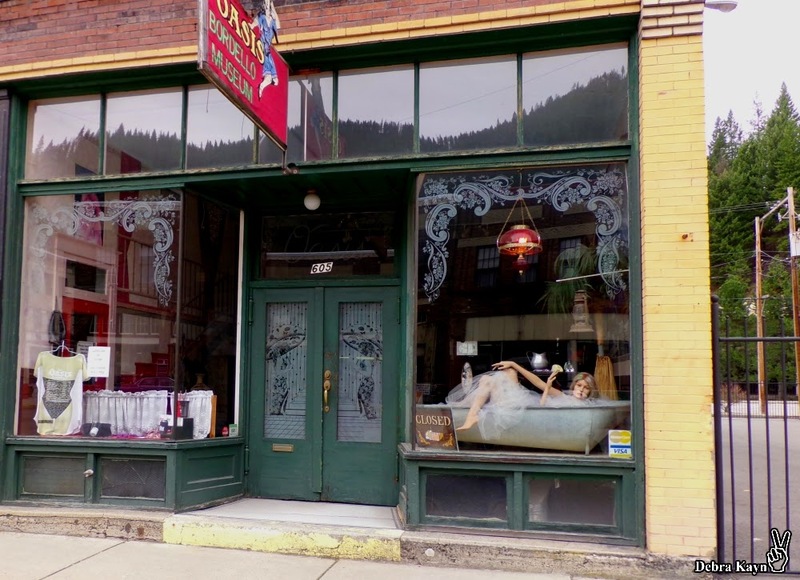 You'll also see where I got the idea for Risa to perform a strip show outside, in a bathtub, having the miners cover her in silver. 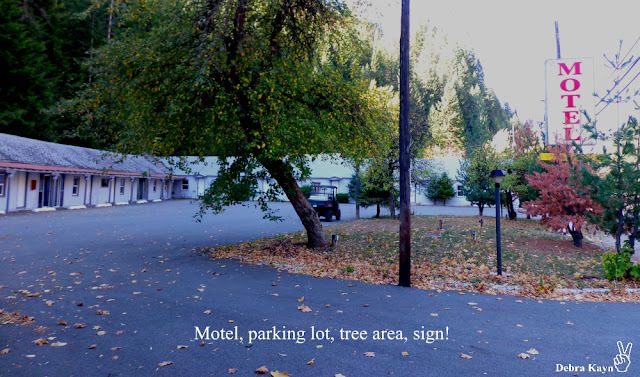 Here's the local Molly B'Damn motel in real life. Also, we have a festival celebrating Molly's good deeds...and naughty deeds in a nearby town named Mullan. Yes, I live in an area that supports whorehouses, guns, drinking in the streets (has to be in a red Solo cup, then it's legal), and the militia. If you want to see more pictures and learn about my town, feel free to follow me on all social media sites. I love to take pictures and often share the fun stuff I do during the normal part of my day. Federal, Idaho in my books is a mining town. 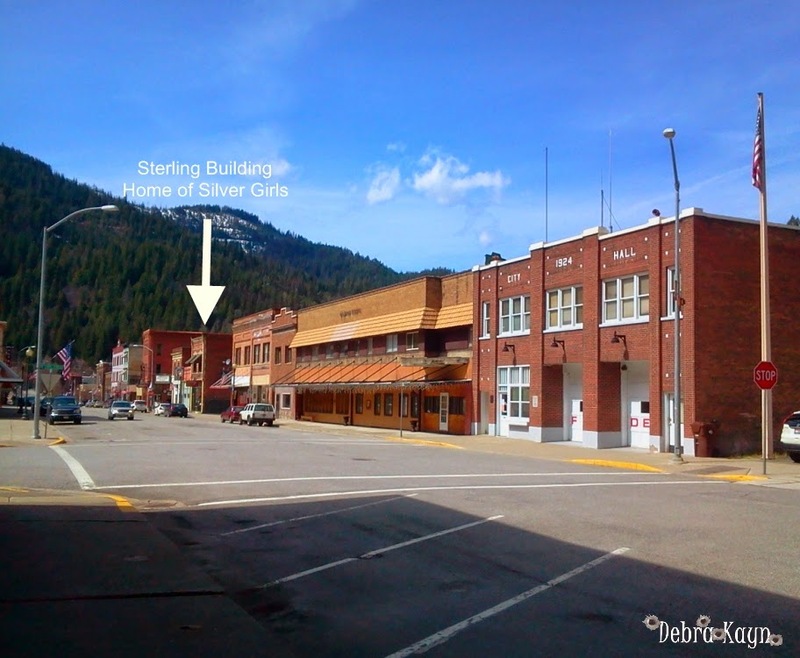 In real life, Wallace, Idaho - my hometown - is a mining town. 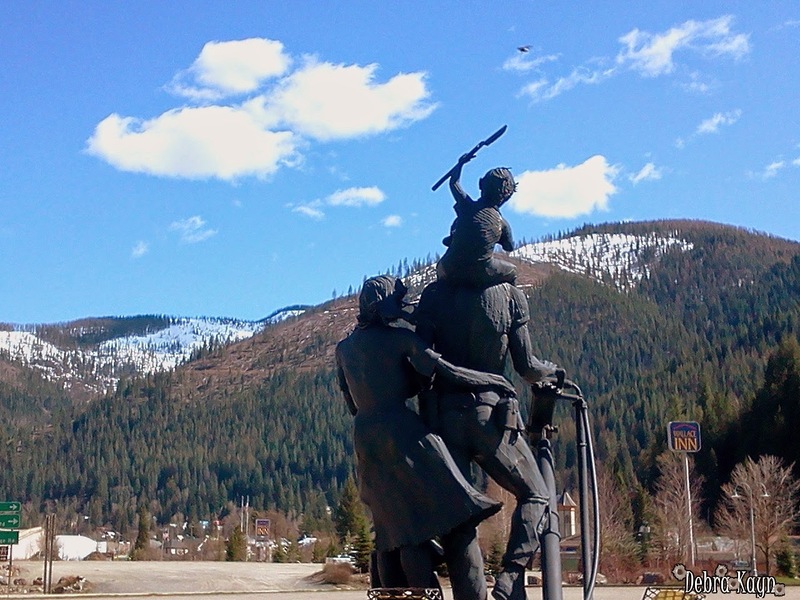 Everywhere there are signs, statues, mining railway carts, and silver. Lots of silver. 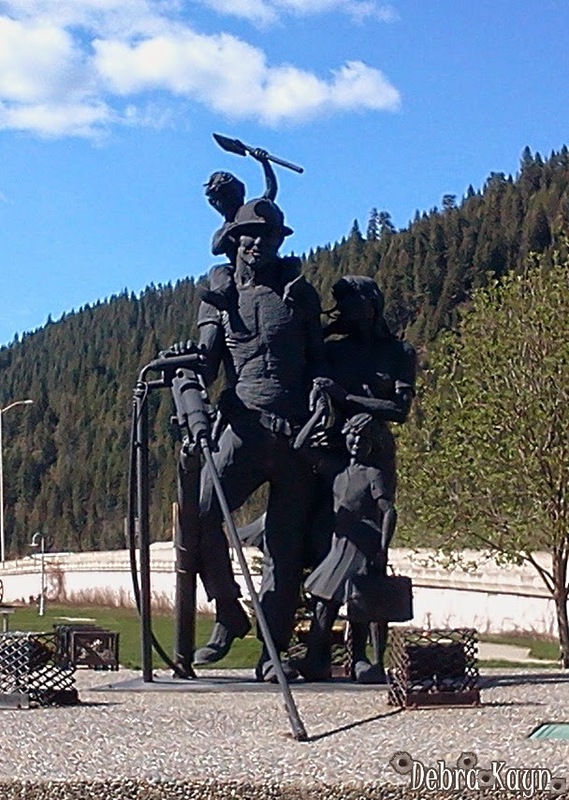 I like this statue best viewed from the back as if the little boy is paying homage to the Bitterroot Mountains and shouting, "I'm going to be a miner like my dad when I grow up." We're known as the Silver Valley. In fact, I live in the Silver Capital of the World. Wallace, Idaho! 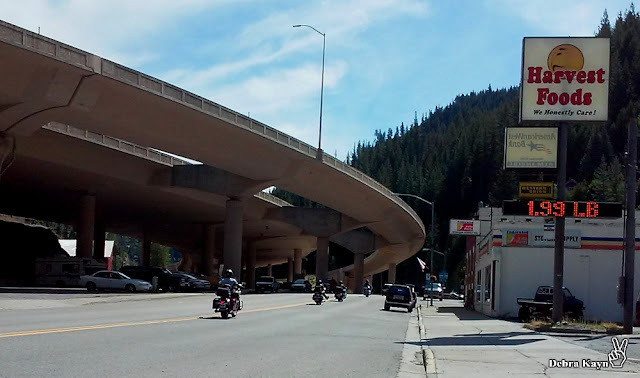 Because Moroad Motorcycle Club frequents the town of Federal in my books, the pictures are the same as those above for Bantorus MC books. The only difference is the location of the Moroad members and the president of Moroad's house. Cam lives outside the town limits. 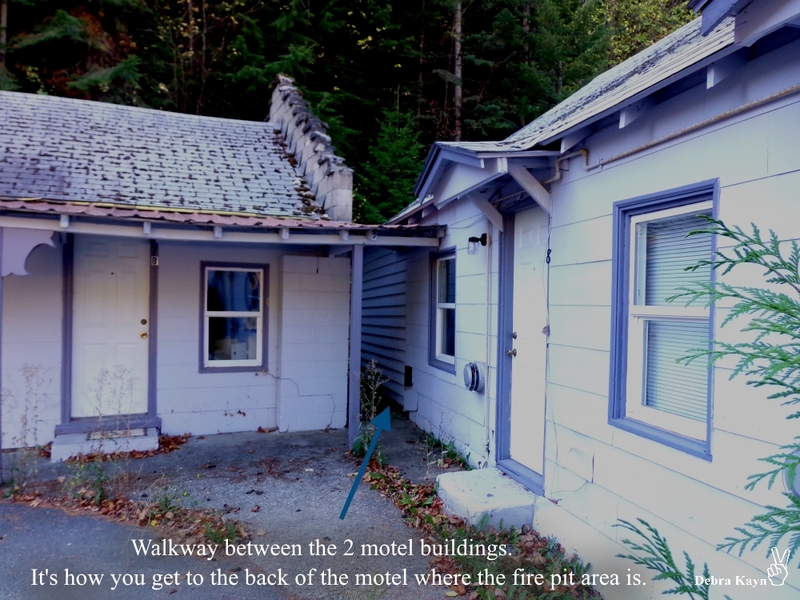 This is an abandoned house in real life. The driveway is overgrown with shrubs. 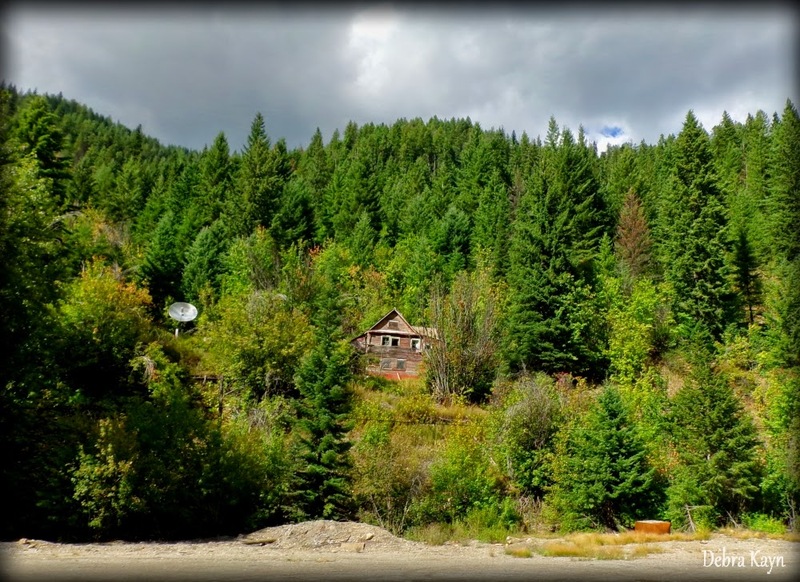 Nestled against the Bitterroot Mountains, the house location provides protection and privacy. Perfect for an MC president, don't you think? 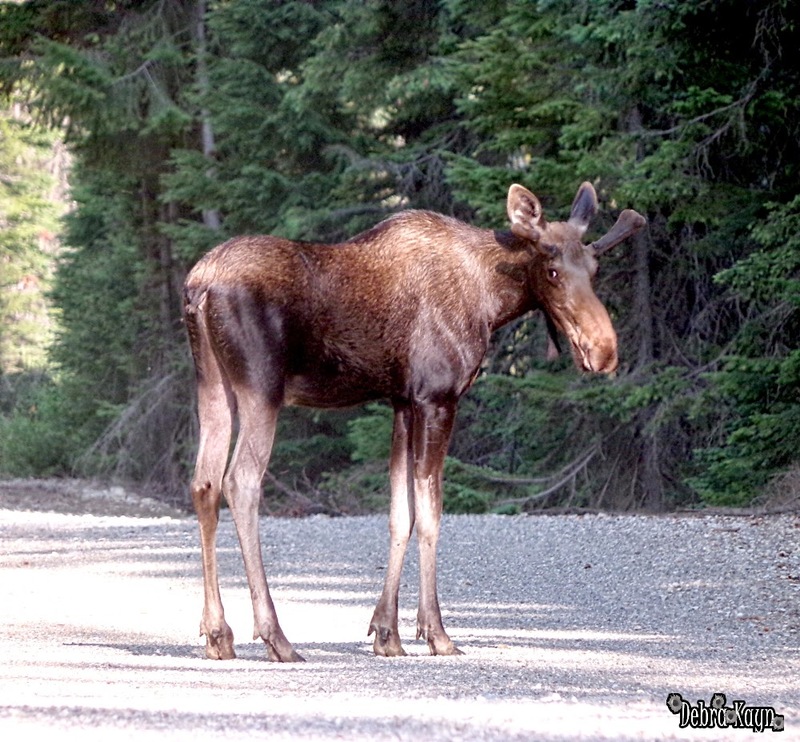 While the picture below has nothing to do with the Moroad MC series, the moose was standing below the house on the road when I was riding the UTV and taking pictures. 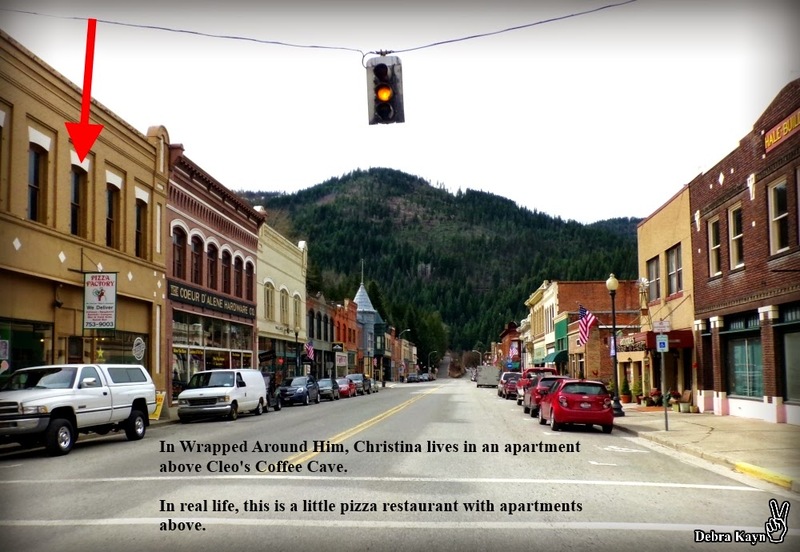 Christina from Wrapped Around Him was the first person to stay in the apartment above Cleo's Coffee Cave in the Moroad series, followed by other members. In real life, the building houses a pizza restaurant on the main floor and apartments on the 2nd floor. In the Moroad MC series, Christina worked part-time at Silver Valley Department of Children's Services...before Cam kidnapped her. Her job location was inside the county courthouse. This was also where Cam needed to go to court to gain custody of his son, Jeremy. 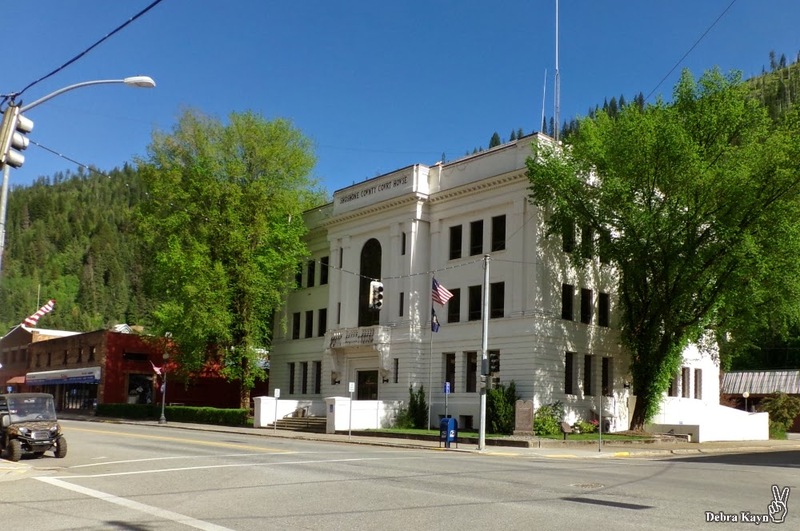 In real life, this is the Shoshone County Court House in Wallace...the heart of the Silver Valley. Inside, you have the courtroom, land appraisers, tax departments, DMV, ect. I've been banned from riding our ATVs/UTVs/motorcycles inside the building. Don't ask...long story. 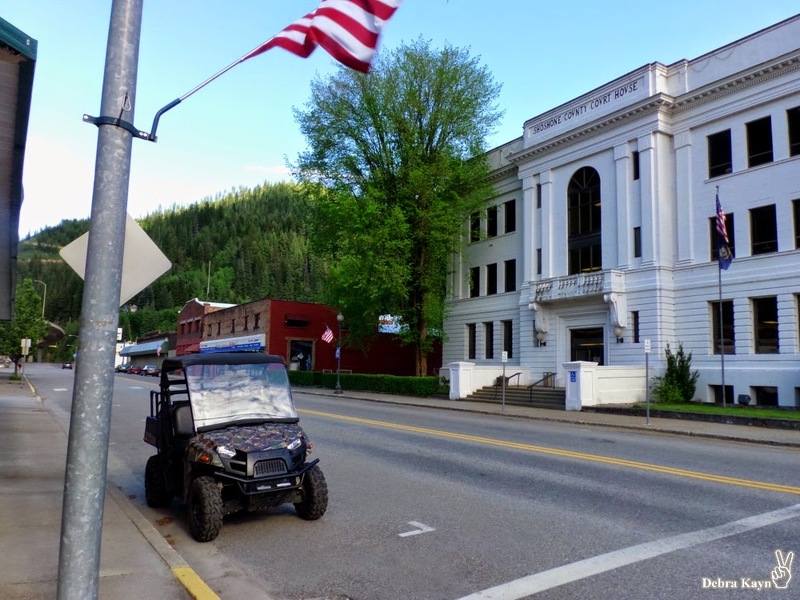 As you can see, that's my UTV parked clear across the street...nowhere near the inside of the building. In real life, this is the Wallace Inn. Merk in Time Owed visited the alpine lake. In real life, this is a lake only locals know about. There's no directions, no signs, and it's one of the Silver Valley's best kept secrets. We spend a lot of time at the lake throughout the summer. This is Rail Point Bar in the Moroad MC series. This is where Desiree lives. She owns the bar. 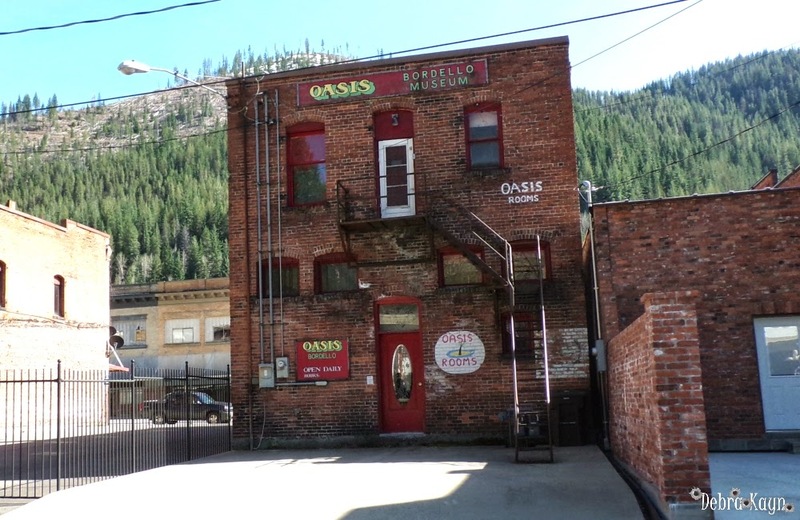 In real life, this is the Rossi Building in Wallace, Idaho. It's also home to my insurance company and I get to go inside often. On the 2nd floor, there are apartments. The tower is in the Moroad MC series and is property of the sheriff's department. 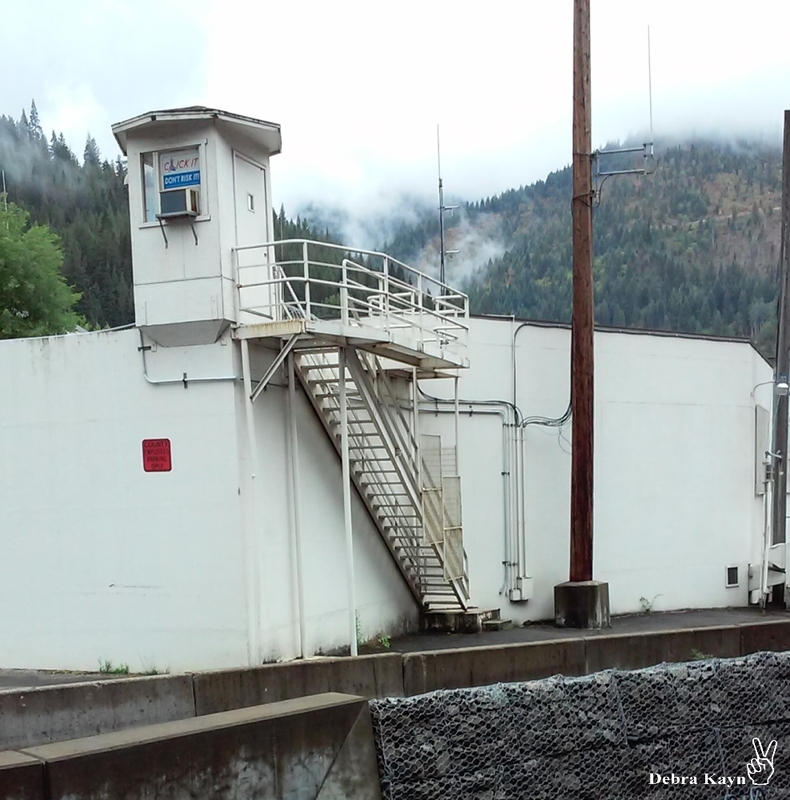 In real life, this is also the lookout tower in the back of the Shoshone County Sheriff's Office in my hometown of Wallace, Idaho. This is where Moroad MC calls home. 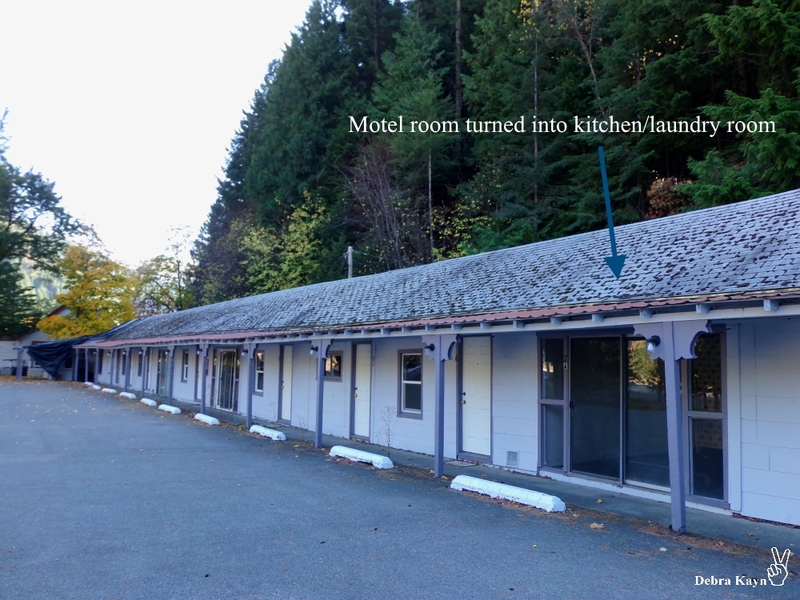 In real life, the motel is vacant and being remodeled so they can reopen. 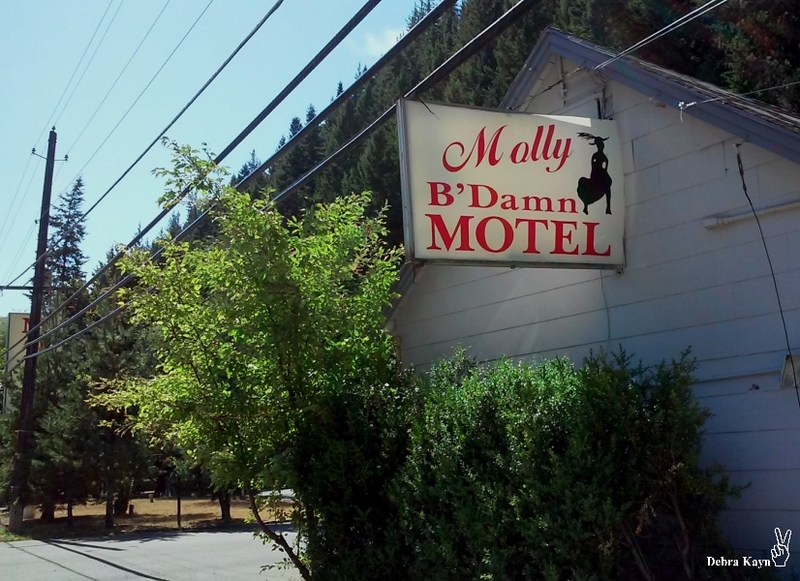 The real name of the motel is the Molly B'Damn Motel, which is also the name of a local madam from back in the day. The laundromat in Federal. 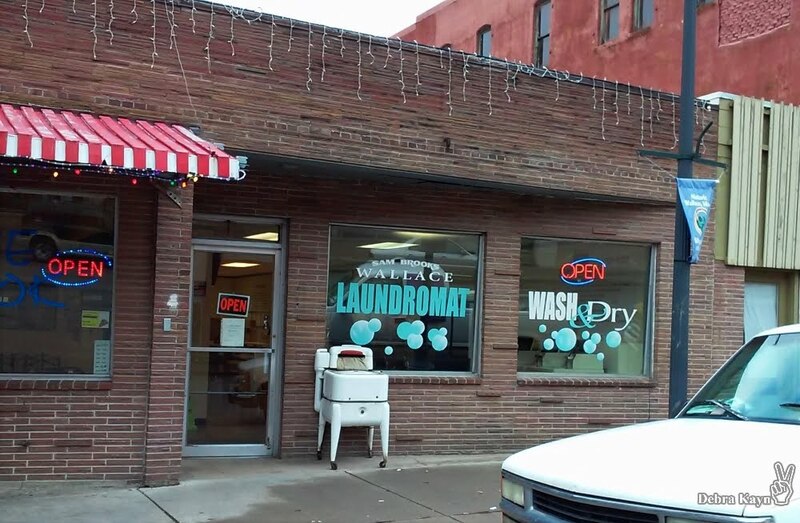 In real life, it is also a laundromat. 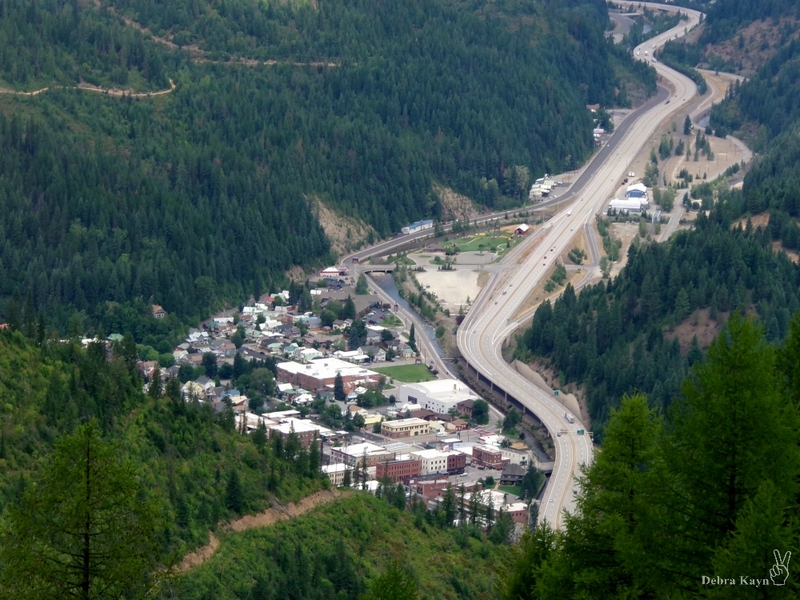 Wallace, Idaho as seen from a high mountain trail above town. This is what readers know as Federal, Idaho. Have you all started reading the Red Light: Silver Girls series? 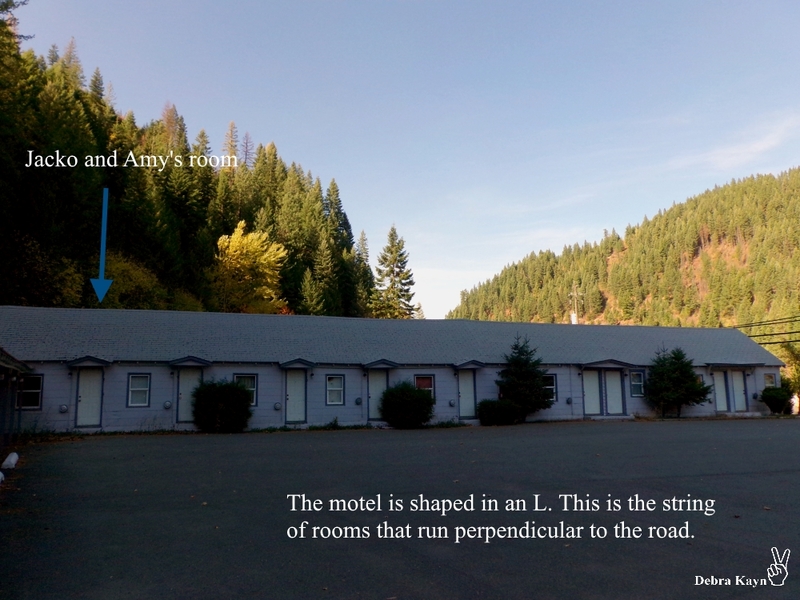 Because the series is set in the fictional town of Federal, Idaho, the above pictures will also help you see the Bordello, the Inn, the Viaduct, the Moroad motel, ect. A new location in Touch Slowly takes you to Montana. 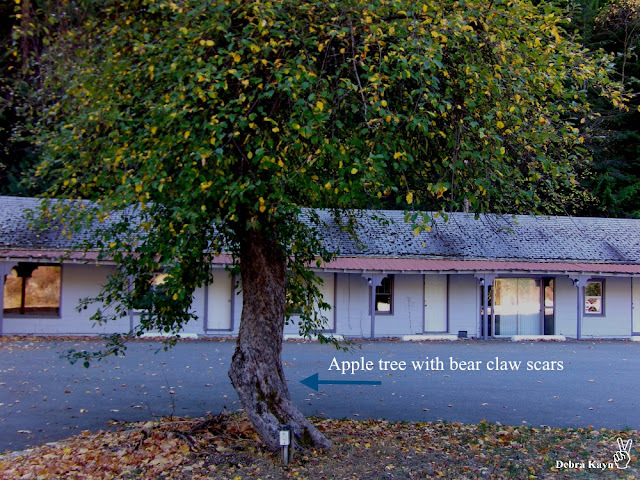 It's only a few minutes drive away. 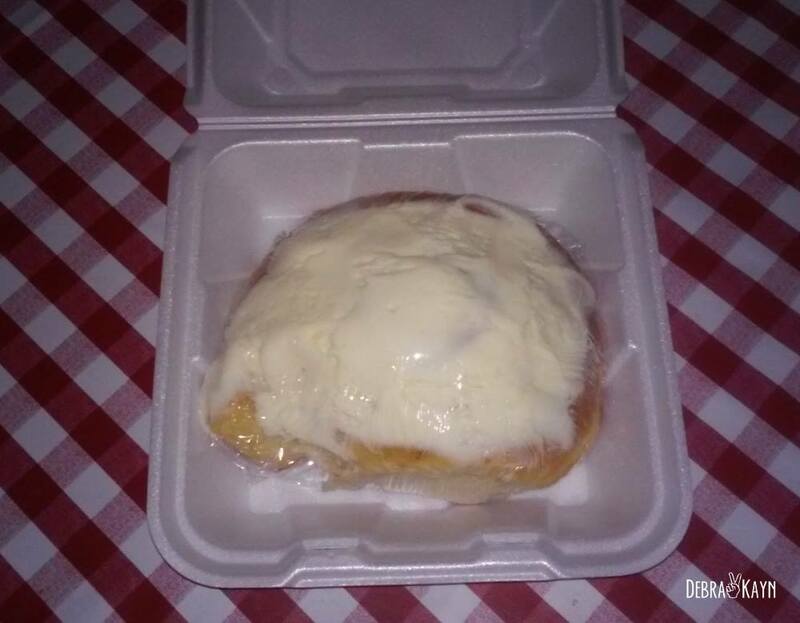 In the book, Emmett takes Nova to a restaurant for a plate-sized cinnamon roll...stuff happens. 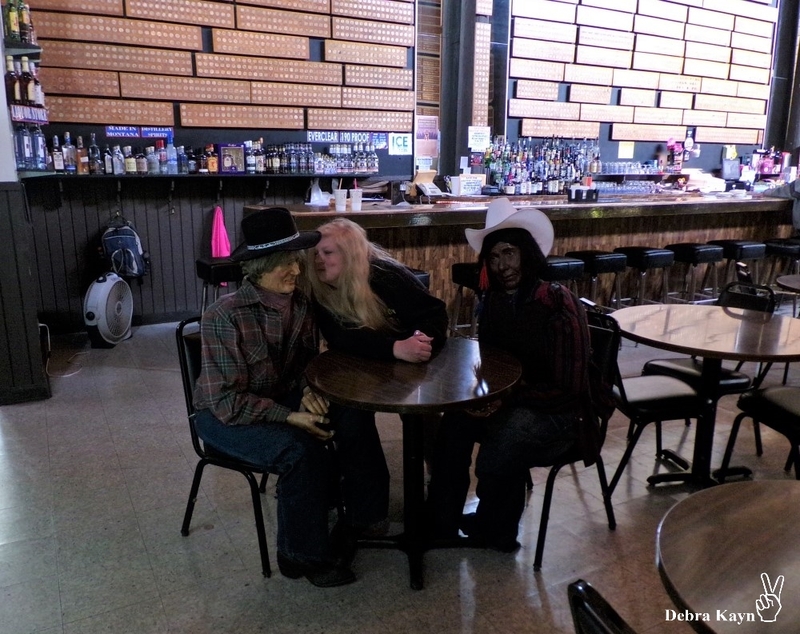 In real life, the restaurant is called $50,000 Silver Bar and has a restaurant, casino, gift shop. Here's a couple pictures of it. Plus, the giant cinnamon rolls. They are to-die-for!